Happy Friday friends! 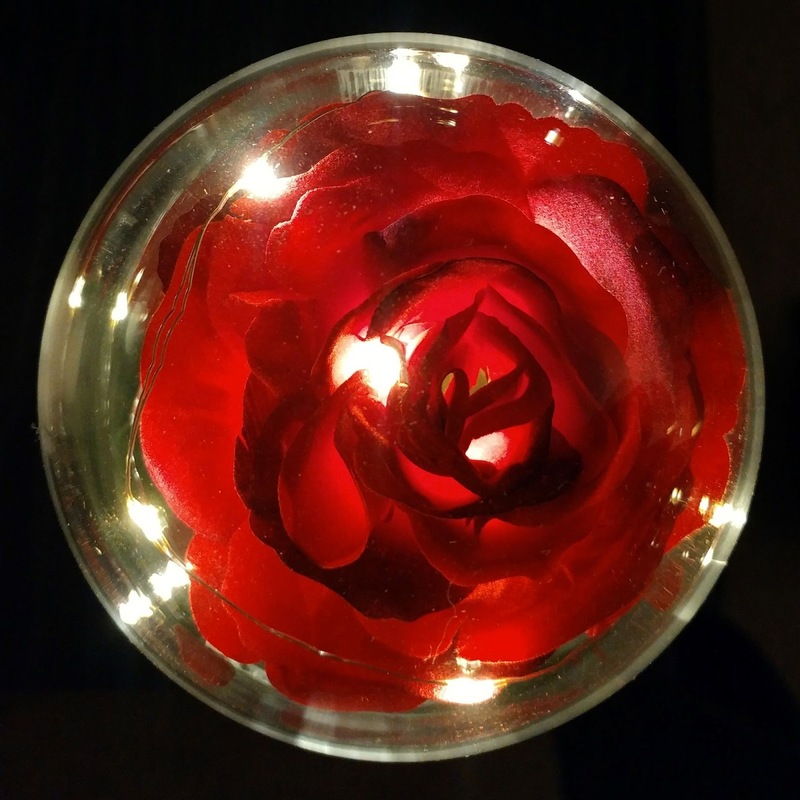 As I sit down to write this fun post, I realized that this is the last weekend we have before Valentine’s Day and I’m feeling a little behind in my preparations. Now, let me state right here at the beginning of my post that I don’t decorate our home for this celebration like I used to when the kids were little, so that makes things a little easier, but I still have shopping to do for my husband and teen daughters. We always include them in our Valentine’s Day celebrations to show them extra love and besides, I think that’s what Saint Valentine, the patron of love, young people and happy marriage wants us to do. 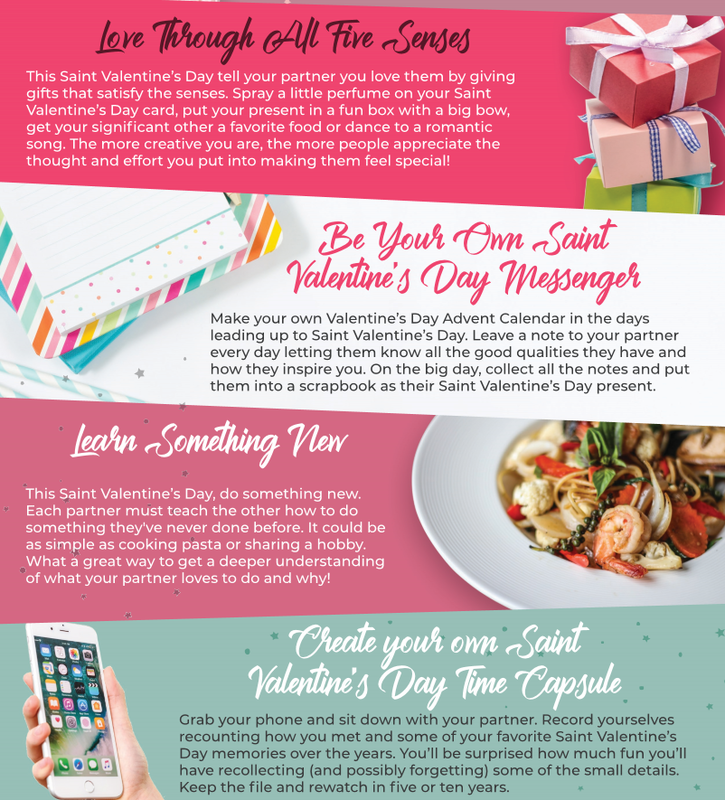 Read on for tips to rock this Valentine’s Day and enter to win a fabulous St. Valentine Love Kit. This is a sponsored post on behalf of Catholic Central. I received information to facilitate my review as well as a promotional item to thank me for my participation. Did you know that Roses was part of this Saint's feast day? I didn’t! No wonder they are the universal sign of love and dozens of Red Roses are being purchased every Valentine’s Day! I’ll admit that as a Christian, I don’t know much about all the patron Saints recognized in the Catholic Church, but I’m very interested in learning more. Thankfully, I’ve found a fun way to learn more about being a Catholic at Catholic Central. The videos are funny! The hosts don’t take themselves too seriously, which makes learning with them and fun and light-hearted activity. Check their website here and watch this funny video. 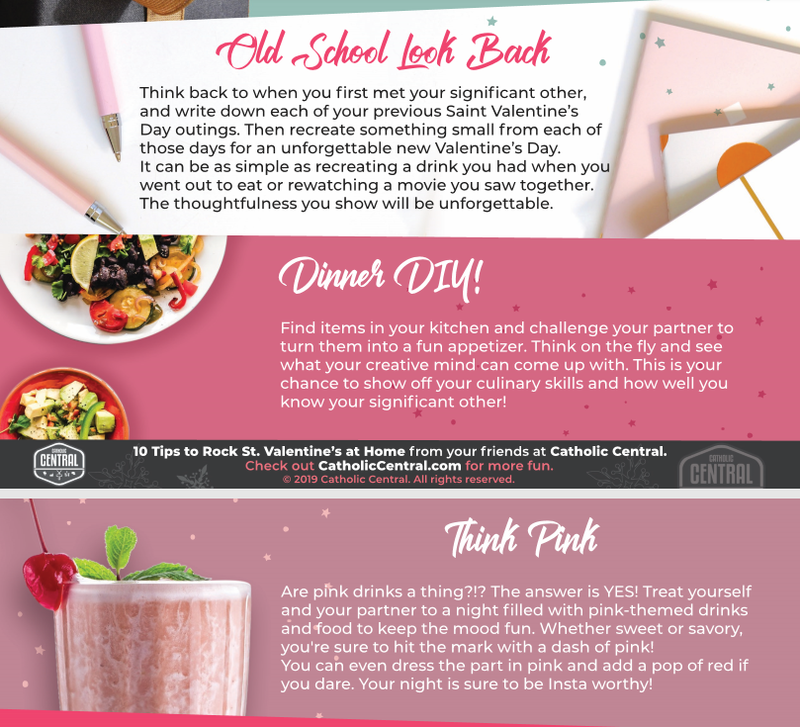 Ready to rock your St. Valentine’s celebration this year? Then you are going to love these tips! Aren’t these fun ideas? I like the blind taste tip and the learn something new tip, although I can see us doing all these great tips at some point throughout the year. 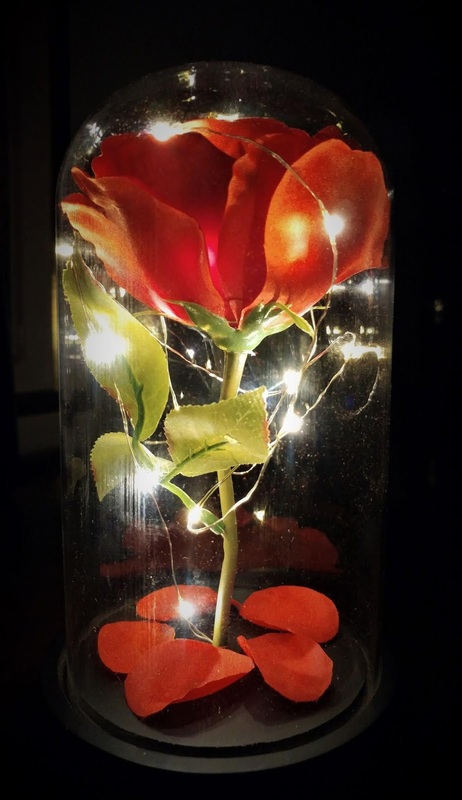 They really have sparked my creativity and I’m thinking these would be great party ideas beyond Valentine’s Day. Why not do a Scavenger Hunt at a birthday party? Thanks to today’s sponsor, one lucky reader will receive this beautiful St. Valentine Love Kit! The kit comes in this pretty box that is almost too pretty to wrap. You may want to forgo the paper and just say surprise as you hand it to your gift recipient. That’s what I did as I gifted mine to my daughter. Now she will have an enchanted rose to remind her of the power of true love! You can have one too by entering my giveaway using the Rafflecopter form below. I hope this Valentine’s Day will be a happy and fun one for you! Be sure to check out my Instagram post where I answer Catholic Centrals question What is the most romantic thing anybody has ever done for me? 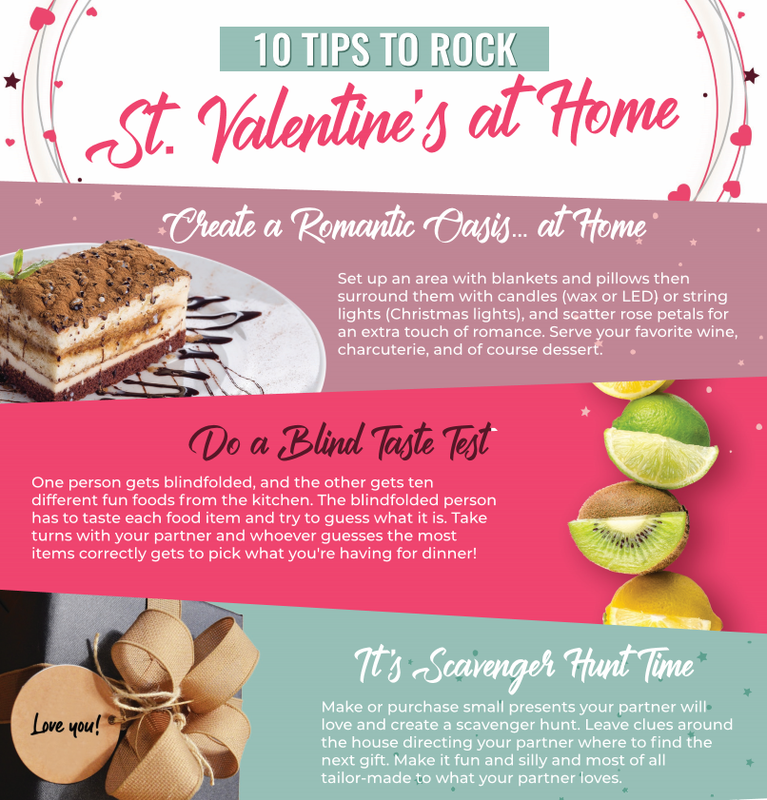 Please share in comments: Which of the 10 tips will you try at home this St. Valentine’s Day? This is pretty. I would love to give this to my daughter as well. She always loved Beauty and the Beast so this would be neat for her. The most romantic thing my husband has done for me was he planned a picnic in the park. I think the blind taste test would be romantic and fun! 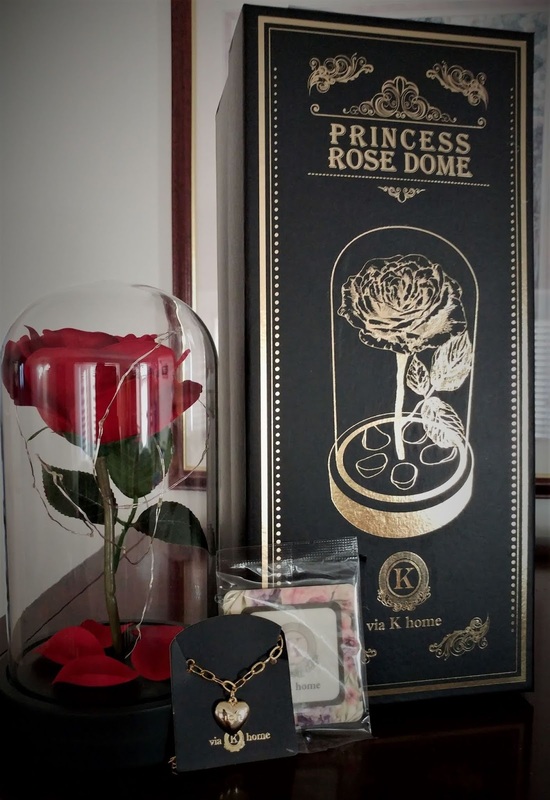 I think your daughter will love this enchanted Rose if you win. Thanks for stopping by and entering. Good luck! A picnic in the park sounds very romantic and something my hubby and I need to do again soon. Thanks for sharing this great idea. Good luck! I agree that the blind taste testing could be a lot of fun! Good luck! My husband wrote me a poem once. Picnic by the lake was one wonderful thing. My husband sent me roses this week. I love the idea of being the messenger and leaving notes! Such a fun idea! Yes, I agree! A picnic by the lake would be heavenly... when it's warmer. Thanks for entering! I got Roses too! My hubby hand delivered mine, but I remember that special feeling of having flowers delivered at work. Good luck! I love giving and receiving notes, so I'm happy to see it made the list. Thanks for entering and good luck. This is so beautiful. I remember taking a walk by the beach one Valentine Day. A walk on the beach sounds like a perfect way to spend Valentine's Day!